Good music and a professional DJ can make your event much more memorable! With a huge library of hits from the last 100 years, we would love to liven up your event. We have the last 100 years of top 40 songs at our fingertips. 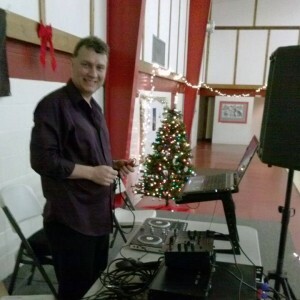 With more than 26 years of experience, DJ Mike has the skills and knowledge to bring your event to the next level. DJ Mike is a music historian – he has spent years learning about top 40 music hits. He’s a fan of classic rock, and he listens to and plays a bit of everything. If you need help remembering that hit from the 50s, this is the guy you’re looking for! 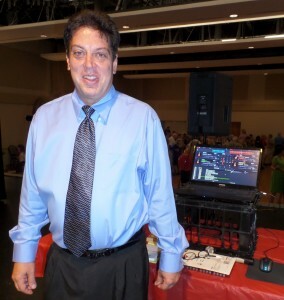 DJ Mike hosts several long-standing dances in the Tampa Bay area. His Sunday dance at the Largo Community Center has been going for over 20 years. Looking to liven up a party? DJ Travis has the experience to add that something extra to your event! He spent years being a sound man for a band, and has been an MC at many events. He also has years of ballroom teaching and dancing experience, and knows what songs will keep people on the floor in a ballroom environment. DJ Travis has always considered his music tastes eclectic. He likes a bit of everything, but finds he favors classic rock from the 60s-80s and pop from the 80s and 90s with a mix of metal thrown in. or submit the form below. We’ll respond promptly. Tell us about your event and how we can provide entertainment.